HealthCare Choices’ health centers are licensed as Article 28 diagnostic and treatment centers by New York State Department of Health as well as a Federally Qualified Health Center under Section 330 of the Public Health Service Act as designated by the Health Resources and Services Administration (HRSA). 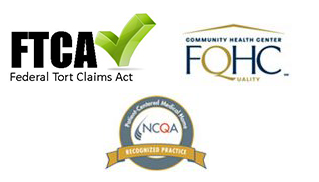 HealthCare Choices is recognized by the National Committee for Quality Assurance (NCQA), which is a private not-for-profit organization dedicated to improving health care quality. NCQA requires members to pass a rigorous, comprehensive review and report on performance measures to retain their standing. HCC is designated as a Level 3, which is the highest level of recognition within the NCQA system. This level of accreditation is one of the most reliable indications of confidence that the organization is well managed and delivers high-quality care and service. HealthCare Choices received additional funding from HRSA for innovative training designed to improve care for people living with HIV. HealthCare Choices (HCC) was named a 2017 Health Center Quality Leader, received supplemental funding for Quality Improvement and received a Certificate of Achievement in recognition of exemplary service and commitment to quality health care from HRSA. HCC achieved the best overall clinical performance among all health centers, placing in the top 30 percent of the rankings for clinical quality matters.